Dr. Abhishek Ghosh 's Github Repository on Hithub. Dr. Abhishek Ghosh is an Indian doctor, his main field of Research is Next Generation Surgical Robotics including the field of Cognitive Science covering Brain Mapping, Artificial Intelligence, neural modeling. 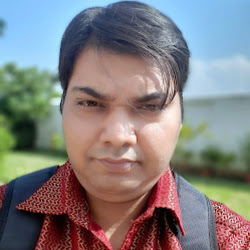 Dr. Abhishek Ghosh currently is associated with various research projects and active in various Free Software projects and Open Source Hardware development. You can contact him by using this form. Find +Abhishek Ghosh on Google Plus. Dr. Abhishek Ghosh is an Orthopedic Surgeon, Inventor with 216 Patents, Current editor of The Customize Windows Media Group.